SEGMENT ONE: Recapping Crew SC vs. Vancouver Whitecaps, Cracking the Code makes its triumphant return, and Man Ball of The Week. SEGMENT TWO: Celebrity fan Evonne Seagull stops by to sing some songs or whatever. 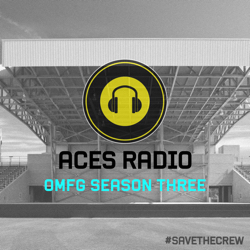 SEGMENT THREE: The Battle for The Grand Prize, prediction scores, prediction updates, the Weather Report with Alex Thomas, and previewing Crewzers FC at Bridgeview Fire.